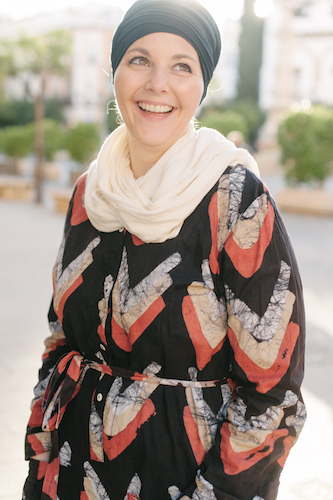 Today’s post is from Faaiza of Modest Munchies. She is a mom to a bright little boy and baby girl. They live in Australia where she spends her days as a stay at home mum who loves to cook, bake and create. You can see more into her life on Instagram or Facebook and when she’s not spending time with her family (or doing the laundry for the umpteenth time) you can find her blogging at Modest Munchies. My family loves stir fry and I love how easy it is to make. This recipe is one that I’m looking forward to trying thanks to it’s different flavor combinations than I typically add to my stir fry creations. Enjoy! Malaysia is a country rich in cultural diversity. Its main cultural influences are Chinese and Indian, which influences the food as well. It boasts a majority Muslim population and has beautiful sights and islands to visit. Malaysia is one of our favourite places to travel to. It’s nice to be in a country with such a huge Muslim population. Nearly everything is halal (don’t take it for granted though, be sure to check first), there’s usually a masjid close-by and almost everywhere you go, and every mall you visit has a ‘Surau’ (prayer room). We usually end up in Malaysia in the (Australian) summer, this is usually pre Chinese New Year, and while we don’t celebrate, it has become a familiar atmosphere. Lanterns adorn the streets and the malls are filled with faux cherry blossoms, it is such a pretty sight. We’ve become accustomed to the decorations and enjoy seeing them whenever we go. Malaysia is known for it’s shopping. The City Centre has a mall in nearly every street corner and also has a walking path to Suria KLCC – the famous Malaysian Twin towers with a convention centre and large mall beneath. It’s a shoppers dream, but be sure to stop and take in the sights as well. The bird park, Genting Highlands, The KL Tower and even Sunway Lagoon just to name a few. It’s also easy to Island hop from KL with beautiful Islands like Langkawi, Kota Kinabalu and Penang nearby. Malaysia is also known for Nasi Lemak and you can’t possibly visit without trying it. Some other famous foods include beef rendang, satay, roti canai and the very popular breakfast spread – Kaya, a favourite of ours. 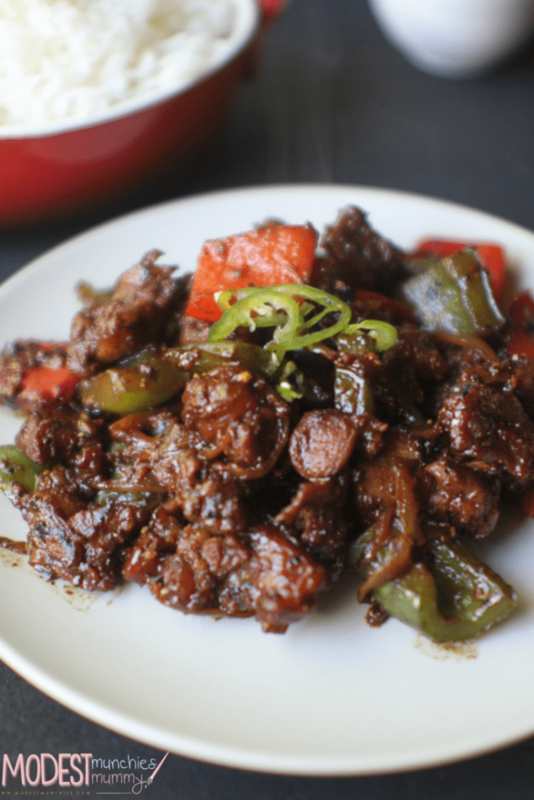 I’m sharing this Pepper Lamb Stir Fry. 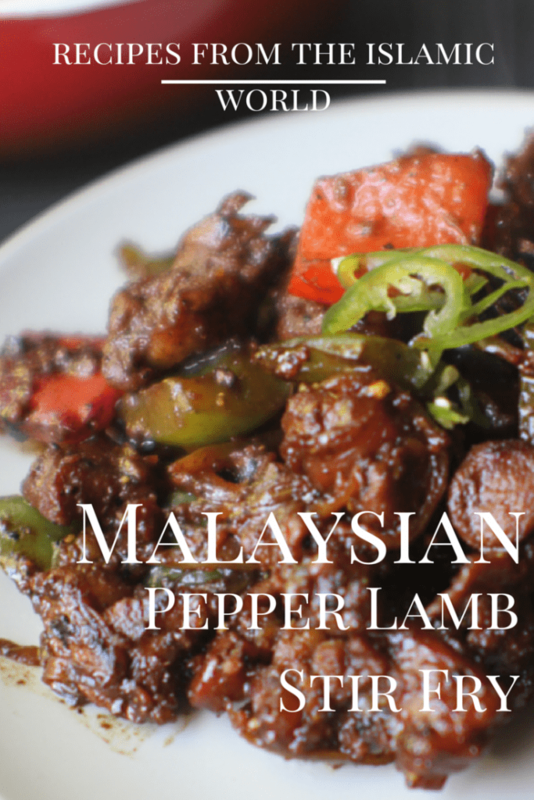 This recipe is inspired by a Pepper Lamb dish I ate at a Malaysian Restaurant. The flavours are influenced by the Chinese heritage of Malaysia. The pepper might not be for everyone but I think it adds a special touch to the dish and really accentuates the flavours. 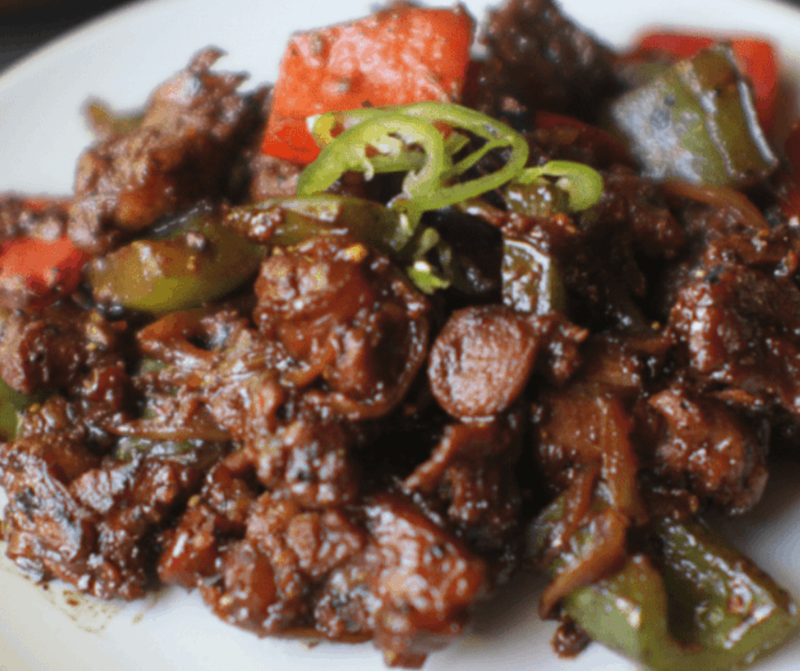 It has the right balance of pepper alongside the sweetness of the soy and spiciness of the chilli. Marinate the lamb in soy sauce, ginger and garlic for 30 minutes. Place oil to heat in a wok (or large pan) on a medium to high heat. Once hot, add in the lamb and stir until the meat begins to brown and caramelise. Once caramelised add in the chopped onion and capsicum, cook until the onion and capsicum start to cook and get tender. Lastly add in your pepper, chilli and season to taste. Stir through for a few more minutes and serve hot with jasmine rice. If you’re making this one for kids, you can omit the chilli. Looks delicious, Amanda! Have to try this recipe. Hope you guys are doing very well!